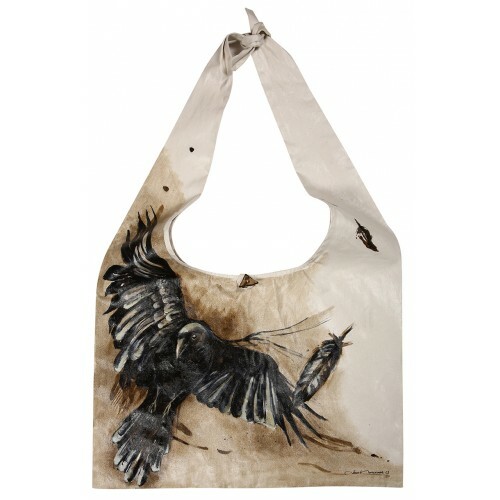 The “Black Crow” tote bag was made on toile by artist Desen Halicinarli, using oil colors / 2013. In conformity with the “painting” ritual, the case/wallet was designed on the toile by using oil colors and drawing pen, which was varnished at the last stage. The product was signed by the artist. For cleaning, it may be gently wiped with a cotton-free glass cloth. Keep the painted surfaces away from detergent, perfume, thinner, alcohol and similar chemical substances. Do not wash or iron. Do not dry clean. Do not fold. 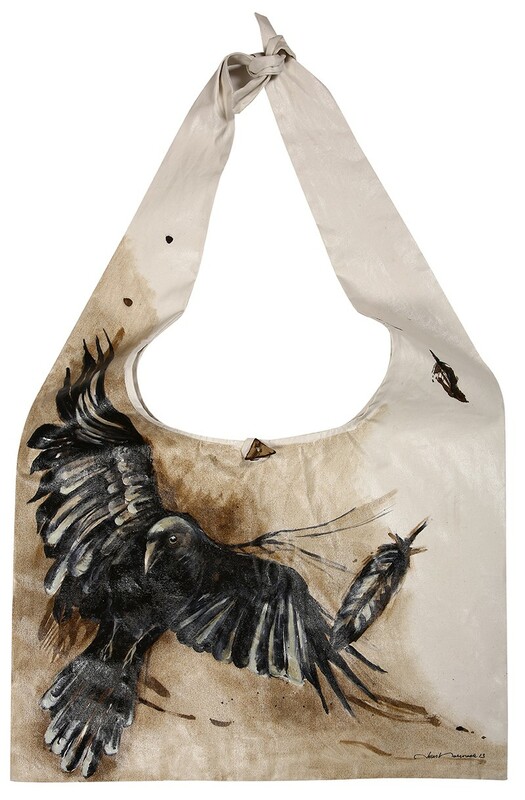 This bag was painted exclusively for you. Enjoy it! 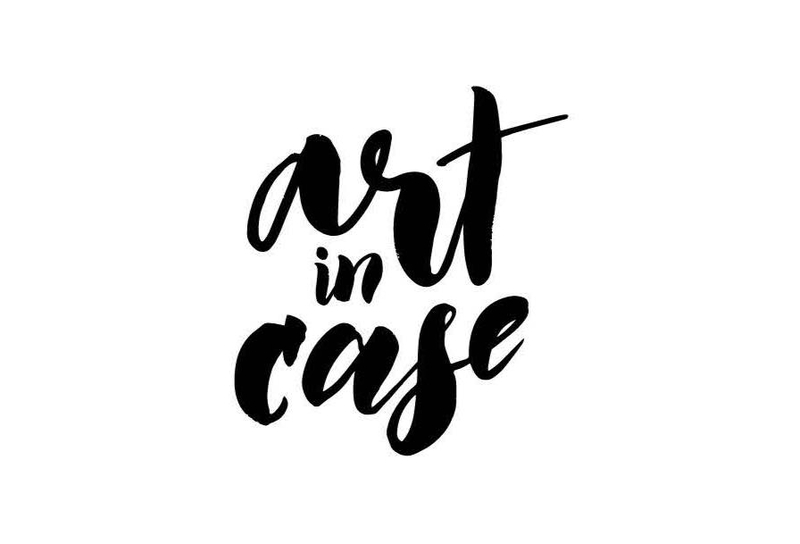 The Art in Case bags are all art pieces signed by Desen Halıçınarlı bringing her painted canvas’ to city. The fact that each piece is treated as a toile painting and that the bags are produced exclusively to their owner makes these products signed and authentic masterpieces. In case you get bored with the product, you may frame it and hang it on your wall. She was born in İzmir in 1983 and went to İzmir Anatolian High-School of Fine Arts, Department of Painting. In the year 2001, she continued her education in Mimar Sinan University Department of Painting. She completed her education in painting in the workshop of Prof. Devrim Erbil, Prof. Aydın Ayan, Prof. Yalçın Karayağız and Assist.Prof.Mustafa Orkun Müftüoğlu, and received her education in gravure from Teach. Assist. Fevzi Tüfekçi. In 2006, she graduated from M.S.Ü. Sakıp Sabancı Department of Painting with an honours degree. In the same year, she entered the post graduate program of the Department of Painting 2009 and graduated from this program with the assistance of Mustafa Orkun Müftüoğlu, with the paper titled “The Usage of the City Image in the Art of Painting”. She participated in 3 personal exhibitions and many group exhibitions. Currently, she is giving Gravure lessons as a Teach. Assist. in İTÜ Department of Architecture, Faculty of Fine Arts and continues her studies in her workshop in Karaköy.